On this date in 1791, the Inquisition in Rome condemned magician Alessandro Cagliostro to death — a sentence immediately commuted to imprisonment for the remainder of his life, which turned out to be only four more years. Cagliostro’s rich career as European courts’ thaumaturge of choice might have been decreed by the stars right down to his pitch-perfectly sinister moniker. Is this the shadowy diabolist whom the title character of in The Cabinet of Dr. Caligari is meant to evoke? In fact, his birth name was Giuseppe Balsamo. What he wanted in native wealth he more than made up for in enterprise — both for self-education in sorcery, alchemy, and other forbidden arts, and for leveraging his expertise in lustrous capers. Hopping from court to court, Cagliostro carved out a career moving forgeries of spiritual or temporal potency alongside his legitimate profession as a doctor and chemist and his growing public profile as an influential spiritualist. He broke through as a young man in the train of a cardinal in Rome, using this in to market on the side fake artifacts alleged to have been pilfered from the Vatican’s mysterious Egyptian troves, as well as to seduce a local girl named Serafina whom he married at age 18. Serafina would be his lifelong companion on his adventures. 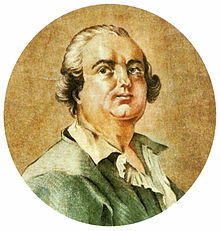 Cagliostro turned up over the ensuing two decades in Russia, Poland, Germany, and England, where he was inducted into the Freemasons in 1776. He’s been credited with creating masonry’s Egyptian Rite, and with energetically propagating it in the 1780s;* indeed, it was his adherence to Freemasonry — and his sacrilegious boldness opening a masonic lodge in Rome under the nose of the pontiff — that led to his 1789 arrest. His seances and magic potions made him a great favorite of the Versailles court for a number of years, until a glancing association with the Affair of the Diamond Necklace so damaging to the reputation of Marie Antoinette forced Cagliostro’s expulsion from France. Considering his Mephistophelian** reputation, now very well known in Europe, Cagliostro’s return thereafter to the belly of papal power seems most unwise. Perhaps (as this biographer supposes) it was the influence of Serafina, homesick after so many years separated from her native haunts. Cagliostro’s next ports of call were the Vatican’s Castel Sant’Angelo and (after an escape attempt) the lonely Fortress of San Leo — and even his end was so shrouded in mystery and conjecture that the subsequent conqueror Napoleon commissioned an official investigation to convince everyone that he’d really shuffled off the mortal coil. Giuseppe Balsamo, attainted and convicted of many crimes, and of having incurred the censures and penalties pronounced against heretics, dogmatics, heresiarchs, and propagators of magic and superstition, has been found guilty and condemned to the said censures and penalties as decreed by the Apostolic laws of Clement XII and Benedict XIV, against all persons who in any manner whatever favour or form societies and conventicles of Freemasonry, as well as by the edict of the Council of State against all persons convicted of this crime in Rome or in any other place in the dominions of the Pope. Notwithstanding, by special grace and favour, the sentence of death by which this crime is expiated is hereby commuted into perpetual imprisonment in a fortress, where the culprit is to be strictly guarded without any hope of pardon whatever. Furthermore, after he shall have abjured his offences as a heretic in the place of his imprisonment he shall receive absolution, and certain salutary penances will then be prescribed for him to which he is hereby ordered to submit. Likewise, the manuscript book which has for its title Egyptian Masonry is solemnly condemned as containing rites, propositions, doctrines, and a system which being superstitious, impious, heretical, and altogether blasphemous, open a road to sedition and the destruction of the Christian religion. This book, therefore, shall be burnt by the executioner, together with all the other documents relating to this sect. Thereafter widely denounced and renounced as a rank charlatan, Cagliostro at the very least rates as of the more outstanding adventurers of his time — a distinction that bequeathed him an impressive artistic afterlife from Alexandre Dumas to Christopher Walken. W.R.H. Trowbridge’s 1910 biograhy Cagliostro: The Splendour and Misery of a Master of Magic is in the public domain and available free online. * Cagliostro might also have written a classic occult volume, The Most Holy Trinosophia.